In the stimulating battlefield, the importance of supplies is self-evident. Good equipment and supplies are for you to eat smoothly. The protection of chickens, then, what kind of material is essential for us in the game, today Xiao Bian came to everyone to count the material not to be missed in chicken. The first essential item is the main weapon. The main weapon guarantees the main output power of your chicken. 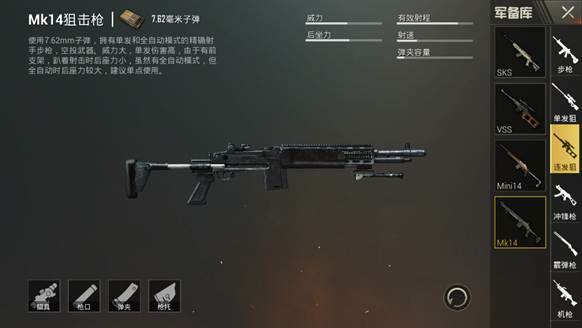 , is your essential equipment to destroy the enemy, so everyone will have a handy master weapon, as to which one to choose, depends on the personal habits, not the strongest weapons, only the strongest technology is not bad . The second is the secondary weapon. The secondary weapon is your spare weapon. You can use the main weapon without bullets or in melee combat. It is your last protection. It is also suitable for shooting in fast running. In some scenes, the role of the auxiliary weapon is very significant. The third is the first aid kit. It is not necessary to say much about it. Give you the opportunity to fight for the second time when you are injured. After using your health, you can return to 75 . This is a necessary item for the staff. Of course, equally important are medical kits, painkillers, etc. that can restore your health and energy values. The next thing is surely weapons and ammunition. Only the gun has no ammunition. That is A toy, the amount of ammunition stored determines your output power, to ensure that adequate ammunition can make you in an advantage in the exchange of fire. How can an important equipment have a helmet? There are first-class helmets, second-class helmets and third-class helmets in the game. The defensive power is of course the strongest of the three-stage helmets. He can guarantee your survivability and prevent the overwhelming majority of gun headshots. It is an equipment that every player pursues. . When talking about bulletproof helmets, one cannot but speak of body armor, like a helmet. 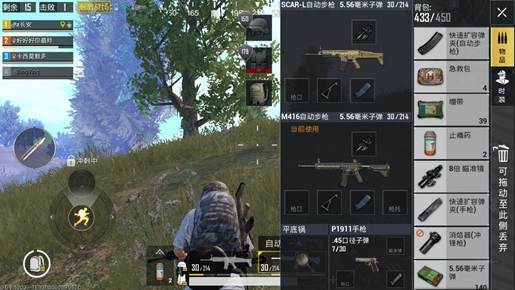 , is also a player must pursue a piece of equipment, the level is also divided into three levels, three can reduce a lot of damage, make your battle more powerful, with three helmets, tonight to eat chicken king belongs to you! Another important item in eating chicken is throwing things. In the hands of masters he is a terrible item, fragmentation. Grenades can not only destroy the enemy, but also strike the West, or create panic for the enemy and achieve psychological tactics. 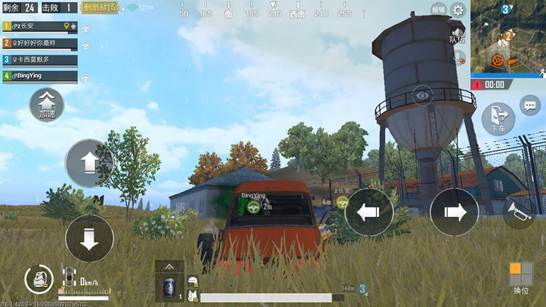 Smoke bombs can disturb the enemy’s sight and facilitate raids. The cartridge clip is also a plentiful item on the cake. 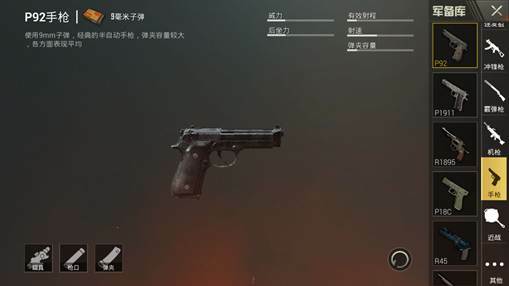 He can not only increase the amount of weapon loading, but also speed up the replacement of the weapon to ensure that you are in combat. With continued rapid energy, choosing a cartridge that matches your own weapon is a task that every player needs to complete. The final piece is our sight. His role is extremely powerful and it is also an accessory to the main weapon. Point sights, holographic sights, high magnification mirrors, etc. High magnification mirrors are suitable for long distances to defend against sniper attacks. 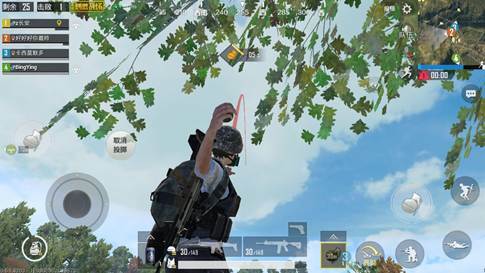 They can clearly see that enemies are killed at one stroke and kill you invisible. All right, the above is the big chicken for everyone. Indispensable materials in combat are believed to be known by everyone. Being familiar with the usage of the above items will allow you to successfully eat chicken in the exciting battlefield.